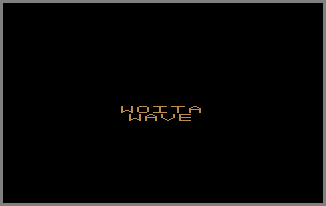 • EASTER EGG: Steve Woita revealed/confirmed that there is a way to change “CRAZED WAVE” to “WOITA WAVE” (see picture) but he doesn’t recall how to do it. · The voice sample in the game (“Quadrun! Quadrun! Quadrun!”) is Steve Woita’s. Each time you beat a level, it’s played increasingly faster.